125cc of reliable, electric-start four-stroke fun feed into a gearbox, making the Coolster 3125CX-2 a great choice for those getting started or moving up, and perfectly tuned to the rider starting to hone his or her ATV skills. It is a middle Size ATV . From the rugged contours of its body, to its big 19" / 18" tires and aggressive stance, every aspect of the Coolster 3125XC-2 screams to be admired. At 57" Length, 38" Width, 39" Height, it has enough room for you to ride and will bring years of fun experience to your family. 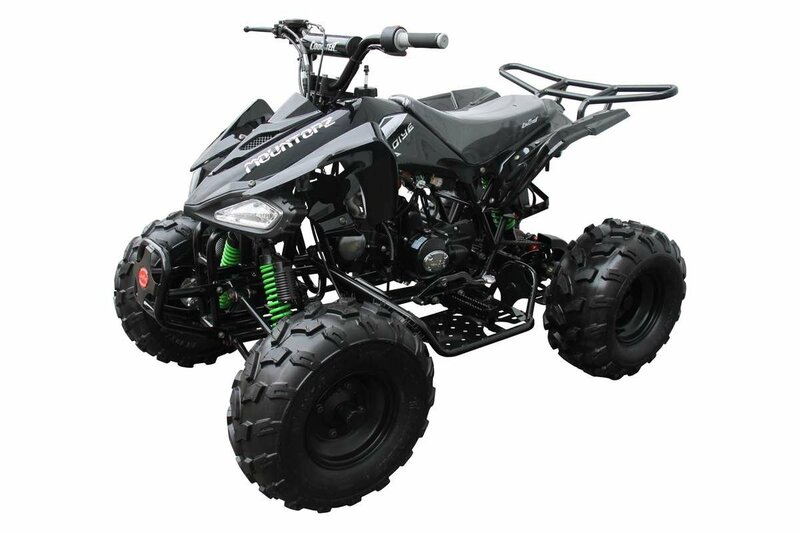 Our 125cc ATV are the ultimate in competition that have a high performance 125cc 4-stroke engine with electric start, tops out at speeds of over 40 miles per hour. These engines are built based on Yamaha technology. The durable double A-arm suspension, Front Drum and rear Disc brake, and improved engine design will ensure a ride that is a cut above. Available in Green, Black, and Blue, Yellow, Orange, Metallic Red.